Entertaining content and micro games for large touch screens, transparent displays, unique touch screen tables, holographic displays, sensor connections and a lot more to experience and explore. Out of a simple idea we create ready-to-use installations. We collect requirements, make fixed-price offers, create concepts, we code, we design, we engineer and we deliver working devices. Our interactive stations are designed to run up to 24 hours, 365 days a year. They work standalone, only need power and sometimes some cleaning of fingertips. Content to us is software applications, consisting of menus, images, videos, 3d graphics, games and a lot more. Simply hand us over your corporate design manual and we create individual software out of it. If that’s not available, a website will do, too. And did we already mention, that we love connecting sensors and technology, too. And games. Not only software can be custom. Hardware can be, too. We model hardware using latest 3D tools, build proof-of-concepts and know the best manufacturers, building rock-solid custom devices. We add sensors, add computing power and of course a lot of touch screens. Part of our passion is discovery new technology. So please ask us about what’s possible, what’s already exists and what’s doable. 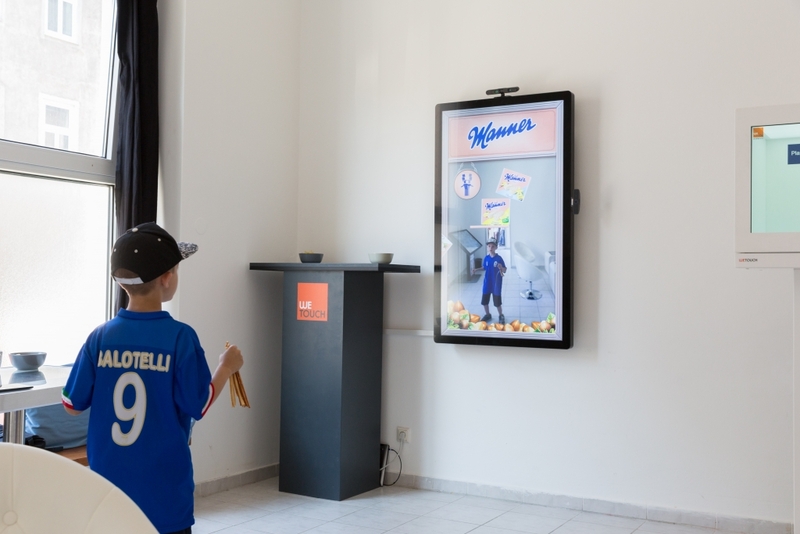 We can give advice and deeper understanding of most current technologies used in interactive installations. Got a crazy project? We are curious to support you and your vision. Our engineers like to take on challenges.